Ya wanna see my new stuff? I'm totally loving this little birdie card. 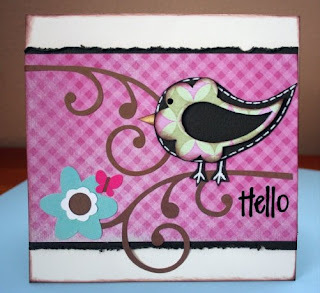 Mara did a mini on-line class on how to make the birds and mine turned out pretty stinkin' cute. 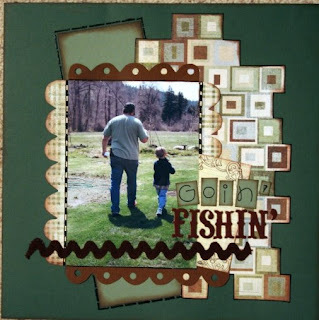 The next two are some of our fishing pictures scrapped. I'll upload a few more later as I get more challenges completed. Neat blog. Enjoyed the read. 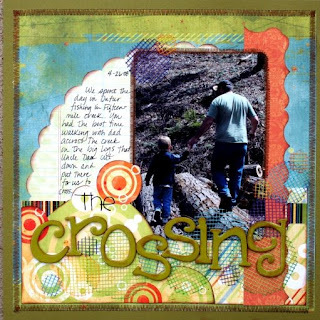 My wife is trying to put together scrapbooks for our five grown kids, but it's a daunting task (grin).